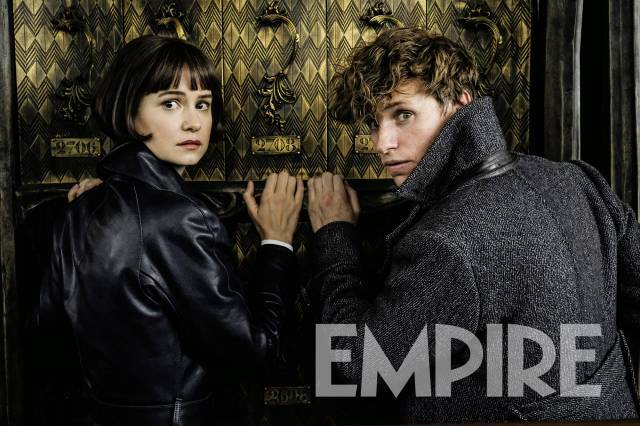 Eddie Redmayne sneaks into the interview tent on the set of Fantastic Beasts: The Crimes of Grindelwald, and immediately you see why he got the part of Newt Scamander – he epitomises the quintessentially British gentleman, and has such a love of J.K. Rowling’s wizarding world that comes through with each and every one of his answers about Crimes. 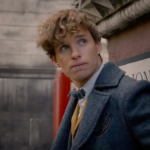 We were lucky enough to interview Eddie on set of the second Fantastic Beasts film, discussing how Newt will develop going forwards, his relationships with other characters (specifically Theseus, Leta, Bunty and Tina), his love of magical creatures, and his role in Dumbledore’s plans to thwart Grindelwald! 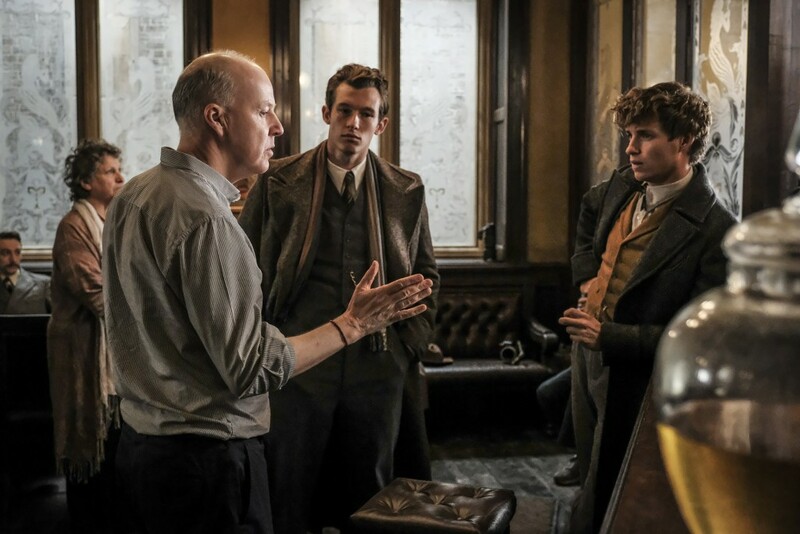 Working with Callum Turner as Theseus Scamander was a delight (you can hear more from Callum in our on-set interview with him! ), but also slightly odd – he and his wife had previously noticed how alike they look, and now they’re playing brothers! “It’s wonderful. One of the things I’ve enjoyed most is working with Callum. I was watching War and Peace. I don’t know if you guys saw that, which he was in. My wife and I were watching and he turned up on screen and literally, both Hannah and I said that’s like a taller, darker, better looking version of me! Let’s all take a moment to appreciate ‘very good guy’ as Dumbledore’s codename. However, we’re reminded on multiple occasions during this set visit that Dumbledore isn’t perfect, and, just as he used Harry to achieve his means, he’s also using Newt in his scheme against Grindelwald, telling Newt “I can’t move against Grindelwald – it has to be you”. But why is Newt key to this plan? 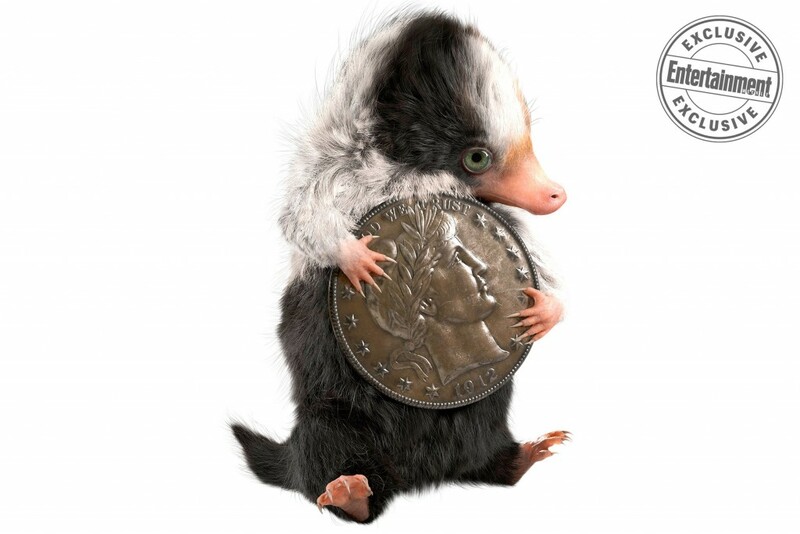 Fantastic Beasts: The Crimes of Grindelwald releases in theatres on November 16th. 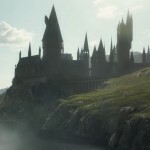 Catch our set report from the Art Department with Martin Foley here, our walk through the French Wizarding World sets, and interviews with the Prop Department’s Pierre Bohanna, director David Yates, producer David Heyman, Callum Turner (Theseus Scamander), Ezra Miller (Credence Barebone), and costume designer Colleen Atwood! 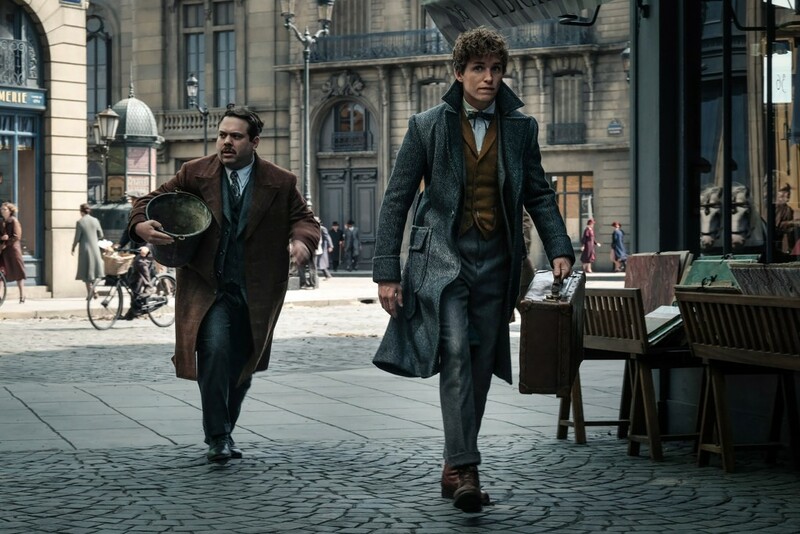 Leaky would like to thank Warner Bros for this exclusive coverage of yet another instalment in J.K. Rowling’s Wizarding World, and Eddie Redmayne for generously giving his time to talk to us more about Newt Scamander and ‘Crimes of Grindelwald’!